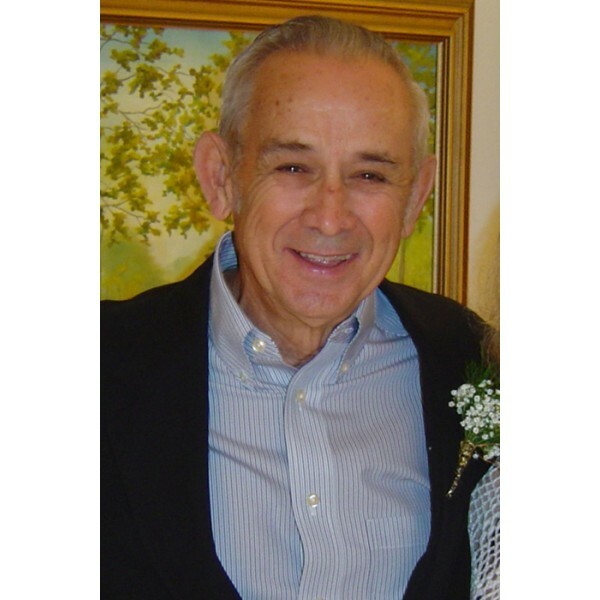 William Curtis Lucas, Jr., passed away on June 30, 2018, at the age of 84 years 6 months, after an eight year battle with Vascular Dementia. William (Bill) was born December 31, 1933 in Calera, Alabama, living there until graduating from Calera High School in 1952. He began his first job in Calera, when he was only nine years old, delivering newspapers riding his bicycle as transportation. He later went on to delivering Western Union Telegrams in Birmingham, Alabama. Upon graduation from high school, William attended Samford University in Birmingham, Alabama, before joining the United States Navy in January 1955 completing the Aviation Cadet Training Program at the Naval Air Station in Pensacola, Florida, then earning the Navy “Wings of Gold” at the Naval Air Station in Hutchinson, Kansas on July 31, 1956. He married Sylvia Calfee Lucas of Birmingham, Alabama on August 10, 1956, and they began life together in Jacksonville, Florida where Bill was assigned to squardronVP-18, flying P2V’s an anti-submarine aircraft. He served four years active duty, and then remained in the Navy Reserves flying many other Navy aircraft before retiring in January 1977 as a Commander. During the time he served as a pilot in the United States Navy Reserves, he also worked as an airline pilot. 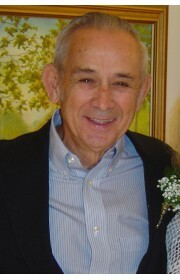 His airline career began in June 1959, when he went to work for Southern Airways, in Atlanta, Georgia flying the DC-3 but later spent most of his time flying the DC-9. Due to several mergers, after flying for over 33 years with the airlines, he retired as a Northwest Airlines Pilot in 1993. His parents, William Curtis Lucas and Mamie Inez Dykes Lucas of Calera, Alabama, one brother Otis Earl Lucas of Richmond, Virginia, and sister, Ila Lucas Carter, of Birmingham, Alabama all preceded him in death. William is survived by his wife Sylvia, son, William (Bill) Curtis Lucas, III (Stacey) grandsons, William and Logan Lucas all of Acworth, Georgia, a niece Kay Carter Caldwell of Birmingham, Alabama, nephew Chuck Carter of Grand Bay, Alabama, and a niece Mary K. Lucas Drew, of Virginia Beach, Virginia. Bill was very proud of his son, Bill III, who followed in his footsteps, becoming a pilot at an early age, now an airline pilot with JetBlue. Bill and Sylvia loved to travel and made several trips to Europe and Hawaii, as well as snow skiing in Colorado, snowmobiling in Yellowstone National Park, and horseback riding in Wyoming, before he retired. Upon retiring they continued to travel going on several cruises either to Alaska or the Caribbean, but Bill mainly enjoyed camping in his Bigfoot truck/camper and driving his Duramax Dually trucks, vacationing in all of the Western States many times, especially in Wyoming, Bill’s favorite. They moved from Fort Walton Beach, Florida where they had lived for forty-seven years, to Acworth, Georgia in August 2017 to be near their son and his family. They were long time members of First Baptist Church. Bill’s favorite Bible verse was Isaiah 40:31. Georgia Funeral Care, 4671 S. Main Street Acworth, GA 30101 is in charge of arrangements, with a military service and burial promptly at 10:00 AM on Tuesday, July 3, 2018 at Georgia National Cemetery 5580 Knox Bridge Hwy Canton, Georgia 30114. A reception will follow at Williamson Brothers Bar-B-Q 1600 Marietta Hwy Canton, GA 30114 in the private dining room. In lieu of flowers a donation may be made in Bill’s honor to the Navy Museum in Pensacola, Florida, 1750 Radford Blvd. Suite B, Naval Air Station, Pensacola, Florida 32508 (www.navalaviationfoundation.org) or Alzheimer’s Association (www.alz.org). 18 Comments To "William Curtis Lucas, Jr."
Thanks!! We did have some great times together especially at the reunions for Class 4-55. Thank you! Bill loved his Southern Airways family and we always enjoyed the Christmas party or luncheons when he could spend time with you and others, until the dementia erased some of the memories he so much cherished. Thank you Donna. I miss all of my younger sister's children. Your uncle Bill is now with his family rejoicing, but also with your mother and grandmother as well as others who have gone before him. When I read Aaron and Amy's comments, it just reminded me of the good times I had when I brought you to Fort Walton Beach so we could all enjoy the beach and time together. I love you, too. Thanks, Suzanne. We did have some great times with you two from the first time we met you at Cody Ranch. It was all fun! I love you, and pray you are feeling better. Thanks, Bill. I remember your Dad went through this struggle, but at least we know once the earthly battle is over, there is peace through faith in Christ. Thanks, Dale. Knowing you made our lives better during Bill's battle. Thank you for your prayers, and I will continue to pray for you in the loss of your sweet Jeannie. Thanks, Joanie, for your prayers. The last eight years, but especially the last eight months brought many tears, but knowing that he is with our Lord, brings peace.